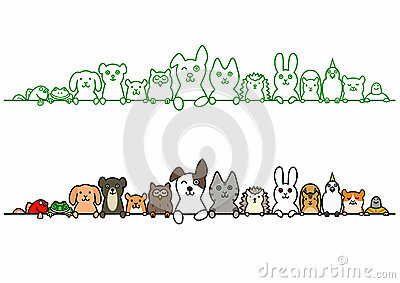 Cute pet animals in a row with copy space. Cartoon animal pack. Images of animals in children`s style. Isolated shapes on white background.